So, you're thinking about a cruise, and you're worried about being bored on those cruise days at sea. 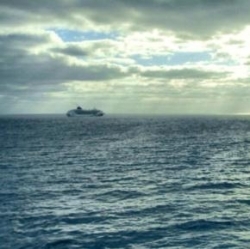 You're afraid that, once the ship puts out to sea, you may feel "trapped" with no land in sight. Won't you be bored? Oh, nothing could be farther from the truth! Sea days can turn out to be the best part of your cruise. Why? Because they are completely yours to make whatever you want! You can fill them with countless shipboard activities, or do nothing at all. Unless you're very unusual, you'll find it's difficult to be bored on a day at sea, but it's up to you! For those who want to be entertained, the cruise director and staff go into overdrive, providing plenty of Sea Day Activities for both active and passive amusement. And, there are still more things to do on days at sea ... Let's explore a few of the many options you'll find to avoid boredom when you are out at sea. What is there to DO on a Sea Day? - Won't I be Bored? Some Cruise Newbies worry about being bored on sea days. I suppose they imagine just standing by the railing for hours, waiting for land to come into view. It's just not like that at all! However, there's something special about standing by the railing and watching the water below. It's soothing. And, I've spotted dolphins and flying fish leaping from the water. Whatever your taste, you're sure to find something on board that's just right for you. Let's break down the choices into several broad categories, Then, we'll explore each category a little farther. Do You Like Sea Days . . . - or do you think they are (or woud be) boring? Whether you've cruised or not, what do you think right now? 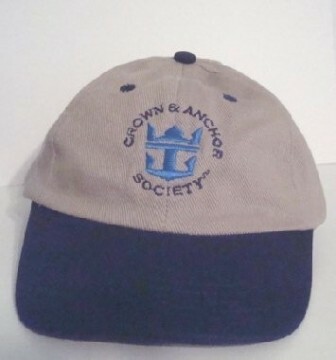 Cruisers: Do you like sea days, or do you get bored? Non-cruisers: Does a whole day (or days) at sea sound boring to you? 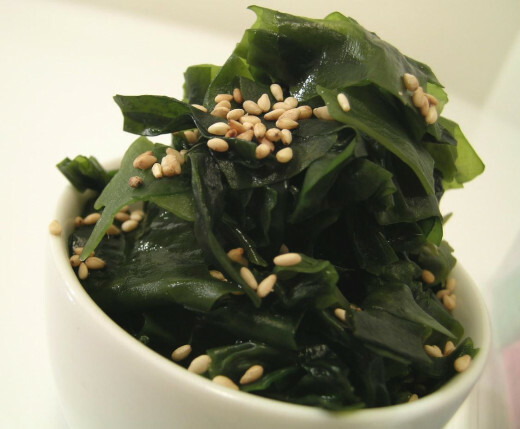 What do you think about Sea Days? Before going farther, let me be perfectly clear: I LOVE SEA DAYS. So, if you're looking for unbiased reporting, you might not get it here. But you will find out why sea days are a wonderful part of the cruising experience. Newer cruisers tend to book "port intensive" cruises, because they may think of Sea Days as nothing more than "travel days" - getting there, if you will. On the other hand, seasoned cruisers often look for itineraries having more sea days than port days. They may even treat port days as extra sea days, staying aboard when the ship calls at a port they have been to before. They've learned what sea days are all about. I love the feeling of being at sea, and revel in the beauty of the water, the colors of the wake, the smell of the salt air, and the feel of sea spray in my face. I find a very small bag with a sholder strap to be almost indespensible for sea days and evenings on board. Smaller is better, as you just need room for a comb, a tube of lipstick, a mini pack of wet wipes, your sea card, and your digital camera - the things you don't want to have to constantly run back to your cabin to get. Something like this is plenty big enough. Hint: in the style shown here, the different the solid colors are less expensive than prints. On the day I checked, the red one had the best price. 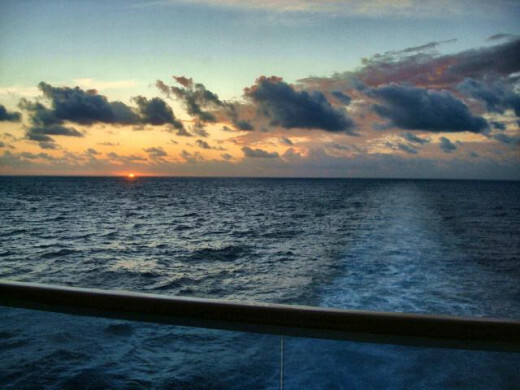 Get up early and watch a sunrise at sea from my balcony, or from the very top deck of the ship. 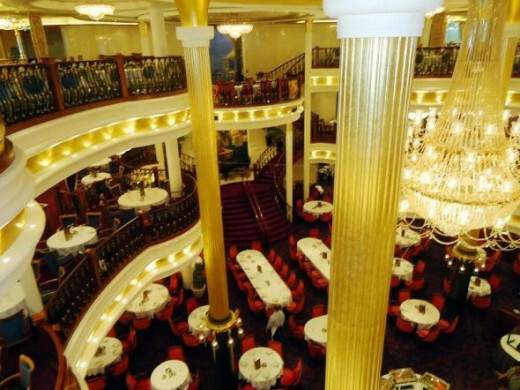 Enjoy a leisurely lunch in one of the many ship's dining venues, without having to worry about rushing back to work. Explore the ship, and view the artwork hung all around it. Peruse the selections in the ship's library. Stroll through the shops on board. Stand on the aft when the ship is underway and watch the wake. If you'd like to take a decadent daytime nap on your balcony, but aren't used to sleeping during daylight, try one of these super fun sleep masks. There are workshops, seminars, classes, and demonstrations a-plenty on sea days. Topics will vary wildly from ship to ship and line to line. Some example topics, though, include: Finance, photography, politics, regional culture for ports visited, baseball, scrapbooking, arts and crafts, line dancing, filmmaking, even zoology. Certain special cruises have famous guest speakers, such as a famous author, a baseball hall of famer, or a well known political commentator or film director. 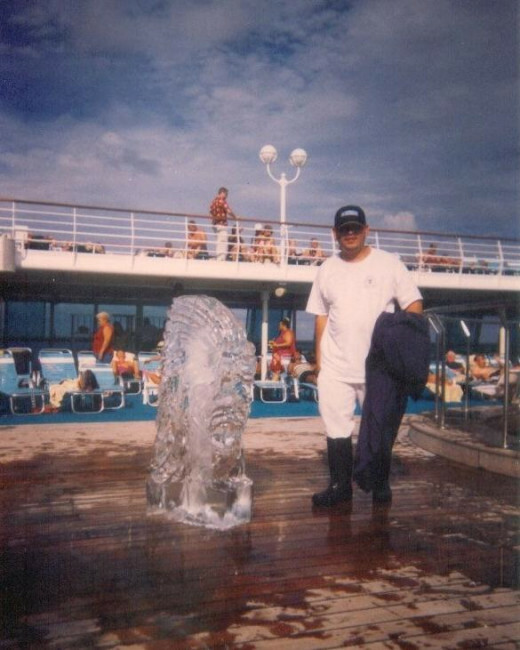 Certain things are pretty routinely offered on most ships, such as dance classes, wine tasting seminars, gourmet cooking classes, and ice carving demonstrations. Sometimes there will be a Napkin Folding Class offered. Far less frequently, there may be a class offered in how to make those adorable towel animals that magically appear in your cabin in the evening. But, with the help of this book, you can still learn how! If you loved those darling towel animals that your cabin attendant on the cruise ship made for you each evening, this book will show you how to make them! 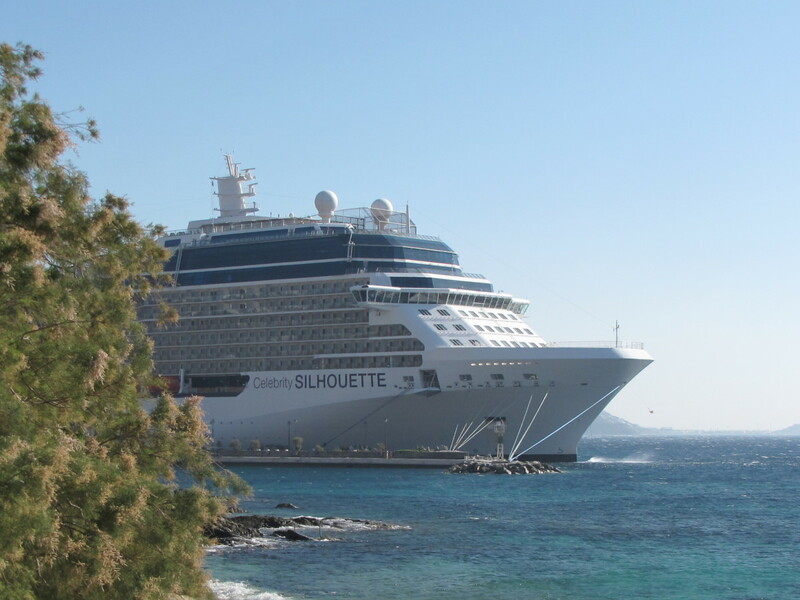 See your cruise line's website for a description of the different services offered. 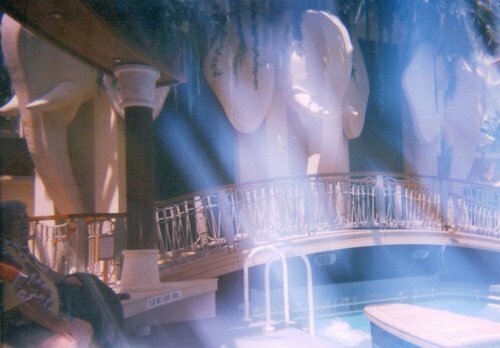 In addition to the expected massages and couples messages, you're likely to find things like seaweed wraps, detox offerings, hot stone therapy treatments, facials with exotic ingredients, even things ike Celebrity's "Exotic Hand Ritual with Manacure," which involves flower petals, aromatherapy oils and milk. along with a manicure. Sounds delightful! On most ships there is also a fitness area in or near the spa. Sometimes, the exeercise equipment os even positioned so that you can haves a view of the sea while you tread or cycle. Which of those three do you prefer? We all have our preferences. What are yours? Of the three things just mentioned, which is most enjoyable for you? Hanging out, relaxing and just doing as I please. 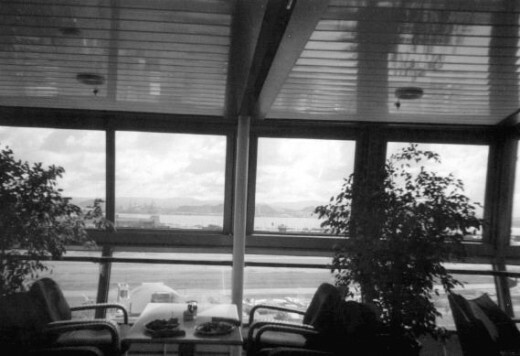 One of the things we like to do on a day at sea is enjoy a leisurely lunch in the Main Dining Room. While the MDR is generally closed on boarding day and port days, many cruise lines do offer an open seating lunch on days at sea. The quieter atmosphere of the MDR is often just what we're in the mood for on a sea day. We like being able to choose the option of table service over the hustle and bustle of the buffet on the upper deck. 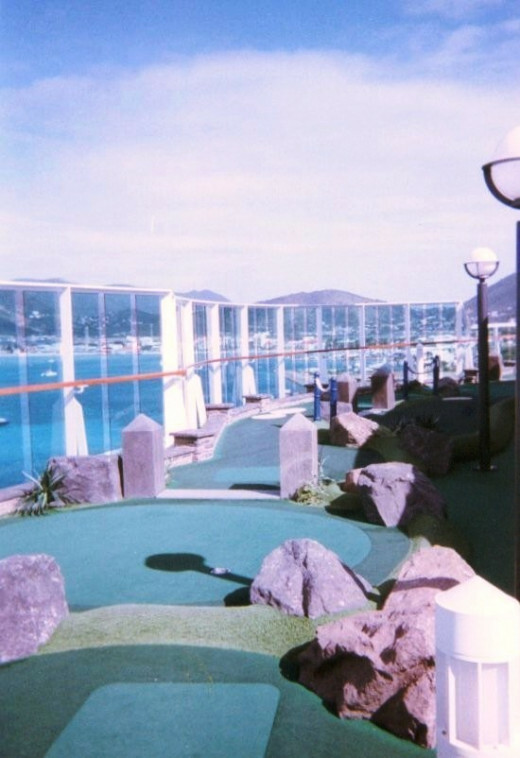 You'll find entertainment of different kinds all over the ship. including lots of musicmm from light classical to pop to country to raggae to caribbean steel drums, and more. Consult your cruise daily for times and venues. On most cruise ships, there are board games available for loan from the ship's library or activity center. Some ships have table tennis and, a court for pick-up basketball games, and miniature golf that you can play during open hours. The Lido Deck is usually a very busy place on sea days, with lots of games and activities conducted by the Cruise Director and staff. Depending on the line, there may be belly flop contests, hairy leg contests, and assorted other pool games. And Bingo... some lucky cruisers win. Sometimes there's even "Win a Cruise" Bingo... yes, the big winner gets a free cruise! You can also participate in trivia contests throughout your cruise, but there's sure to be at least one or two on a sea day. These are normally held in one of the inside venues. Check your cruise daily for time and place. A friend and her husband are avid trivia players, and are always coming home from a cruise with a medal or other prize that they won for giving the most correct answers. These prizes are usually something like an "authentic plastic medal on an genuine ribbon," or maybe a cruise line logo items, like a keychain, pen, or even a cap. All Royal Caribbean ships have rock climbing walls. 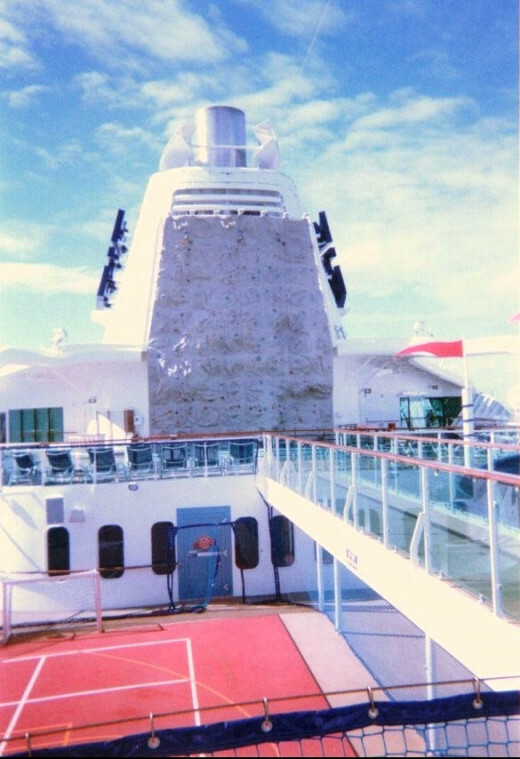 On Voyager Class ships, there are ice skating rinks. The Flowrider surfing simulator made its sea-going debut on the Freedom class ships. Oasis class ships have onboard zip lines which allow you to zip over the ship. Which of the last three strikes your fancy? In general, of the last three types of activities mentioned, which is more YOU? 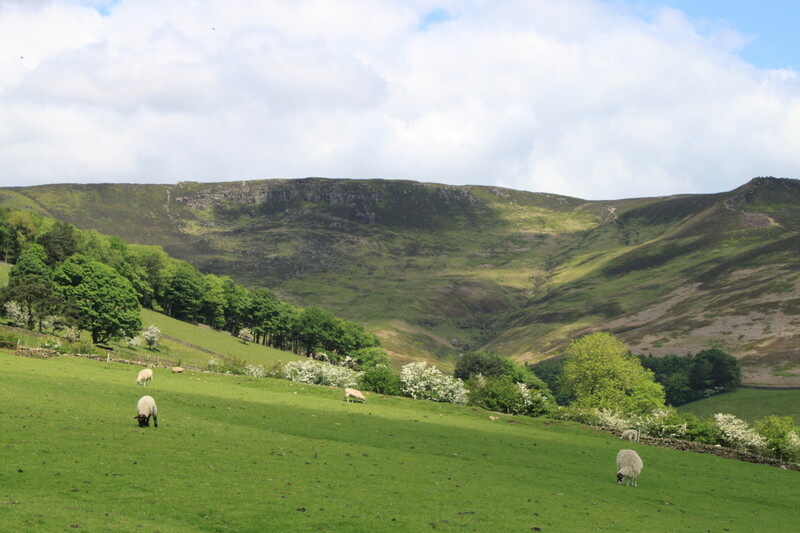 The risk taker and adventurer in me wants to go for the gusto - zip lines, rock walls and more - bring 'en on! There are so many wonderful things about Sea Days, that I'm not sure how long this would be if I wrote in detail about each and every possibility. In fact, I'm not even sure I COULD! I have, however tried to give you a smattering of each of the different kinds of passive and active things that can keep you busy and happy while you are miles and nautical miles from land. I hope it has let you glimpse how extrordinarily varied a sea day experience can be. It truly is there for you to make what you want of it, and that's one of the things that's so special about cruising. So, go - Cruise! And make of your Sea Days exactly what you want them to be! Oh- and if you STILL think you might be bored, or if you're concerned about the kids, keep reading... there's more! Now that you've have a little introduction to my version of why Sea Days are so special, do you agree? Or not? Plan B - Take Your Own Amusement - If You Still Think You Might Be Bored, That Is. Now, if you still think you'll be bored, then pack an item or two fo fall back on. Here are some suggestions. The travel game below is 'ship friendly,' meaning it's either magnetic, or has pieces that lock into place so that they won't scatter if the ship suddeny encounters rough seas. Then, for readers and writers, I would suggest a kindle, pre-loaded with several books you've been meaning to read, or even a travel journal. It's imoprtant to note that cruising with family means a vacation WITH your kids, not a vacation FROM your kids. Not only is it extremely bad cruising ettiquite to allow them the run of the ship on their own, it's very unwise and potentially unsafe for them! But, read on for some interesting news for both you and your offspring. That said, most of the larger cruise lines have wonderful children's programs for preschool age through teens. All of the programs are supervised, and supervised activities that are age appropriate. They'll enjoy meeting others their own age and have a ball on sea days. And, here are some suggestions for the same types of items for Plan B for the kids. Books or a kid's Kindle are always good choices. Other good choices include things like magnet games, Etch-a-Schetch (no loose parts) and a travel journal especially designed for children. 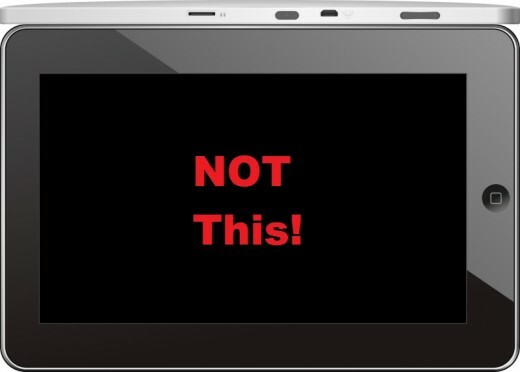 If you're thinking, "I'll just take along a tablet or smart phone for him or her to play with," think again! Any activity that requires connectivity should be used sparingly while at sea. That means a few minutes, not hours over the course of a week. While most ships these days do offer internet and WIFI, it comes at a hefty price. Rates vary from one cruise line to another, but an internet charge of $ 0.75 per minute is fairly common. That means a couple of hours of entertaining the kids with Angry Birds while you nap peacefully could end up costing you $90.00 or more in connection charges. Most lines offer packages that allow you to prepay a discounted amount for a set number of minutes, but it's still too pricey for game playing. As far as cell service goes, you'll be paying international roaming rates, which can be ghastly. Check your plan. Your best bet is to NOT plan on entertainment that requires connectivity of any kind. Leave their devices at home, and let them discover what life is like without them! Cruise ship food is generally good and always plentiful and available. Have a look at the wide variety of foods and dining venues you'll find on large cruise ships. Start your cruise months before you sail with these books about cruising. Do you? Might you? What can you do about it? Mandatory safety briefings for passengers on cruise ships, called muster drills, now must be held BEFORE the ship gets underway, rather than during the first 24 hours. This change came about as a result of the Costa Concordia disaster. 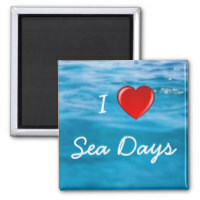 The beauty of the sea, captured on a mousepad, to bring sweet memories of a sea day to your workspace. 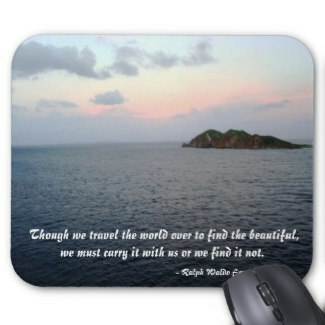 A sunrise scene on a misty morning, off the coast of St. Thomas, in the U.S. Virgin Islands, with an inspirational quote by Ralph Waldo Emerson. How to Stay Safe on Cruise Ships? The Guestbook is: OPEN - And waiting for your comments! Our cruise was around the Hawaiian Islands, so very port intensive. 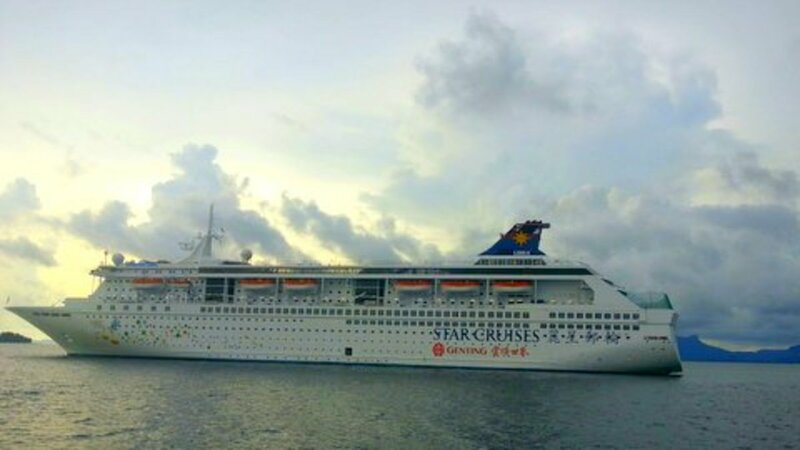 I think I will enjoy sea days on future cruises as I enjoyed embracing the whole cruise atmosphere and spirit. So fun... want to do it again soon! 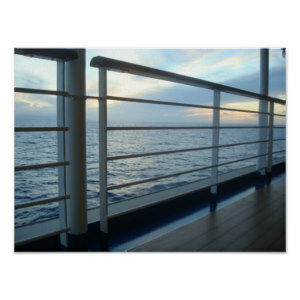 I would totally love to go on a cruise. Preferably a themed cruise related to my interests -- I've gotten literature from cruise companies, so I know they're out there. Great lens! Sea days seem daunting to some newer cruisers - "What will I do? ", they ask. As your lense points out - these are some of the BEST days during a cruise and you should re-read this lens to find out ways to best utilize these oft-missed opportunities. Thanks for posting! I love taking a cruise. I always thought that being at sea would be the special part of being on a cruise. Very well done with plenty of information for everyone. Before we went on a cruise, I kind of thought those days at sea would be boring, but I was happy to discover how wrong I was. I'd love to go on another cruise! I have never been on a cruise so you have given me great incentive to go on one. Thanks for those tips to enjoy time while at sea. Days at sea are the best! I prefer them to land days. And I live in Baltimore, so the ships that sail out from here often have additional days at sea just for the simple reason of being further away from the Caribbean... which is perfect for me. Great Lens! I love sea days! There's always plenty to do and it's a wonderful opportunity to meet and interact with fellow cruisers. I love sea days, especially when they're scheduled between busy port days! You get a chance to relax and regroup. @anonymous: Thank you, LL for that rundown of the options for sea day activities on one of the famous Queens! Cunard specialise in relaxed sea days, with mostly indoor activities for those cold North Atlantic crossings. 3pm Shuffleboard Tournament, or Darts Tournament. Or you could do none of the above and just relax with a good book and or a drink.